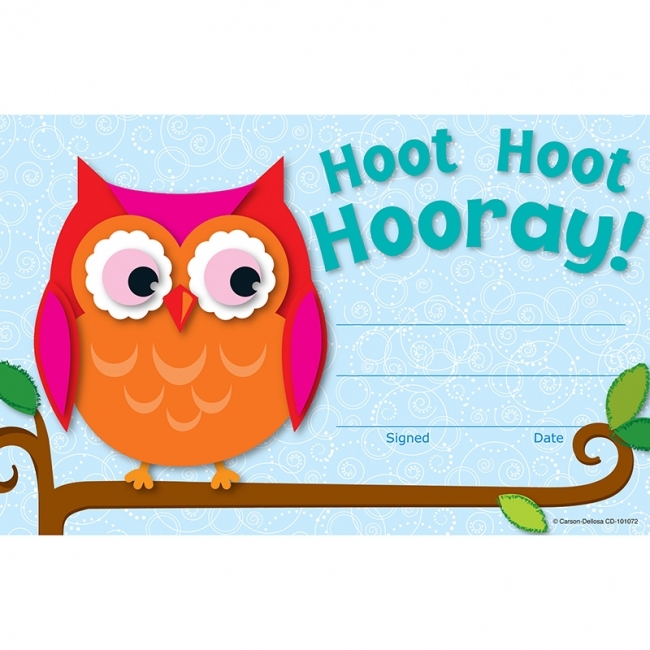 Celebrate student achievement and recognize yearly milestones with these delightful awards! 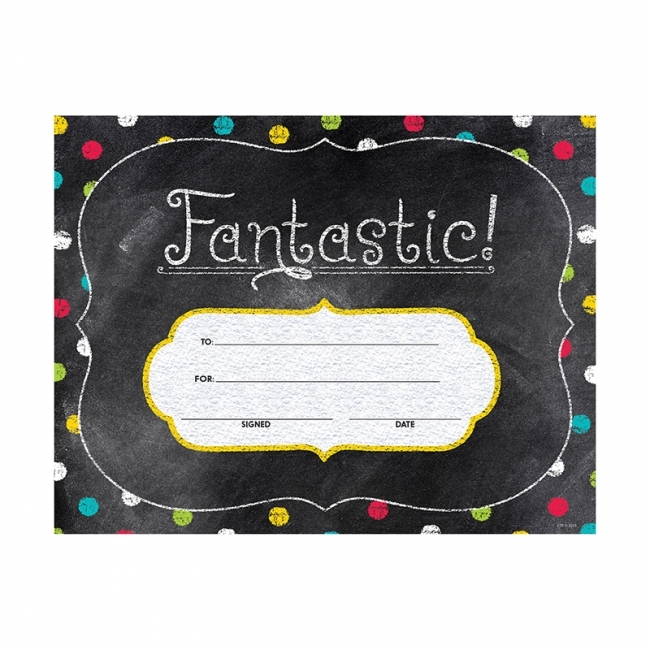 The awards are easy to personalize and will become a memento that students and their parents will treasure. 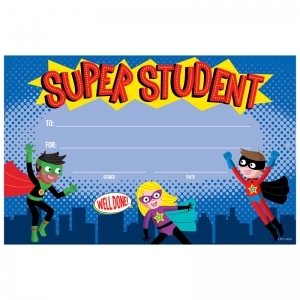 Super students deserve a super award! This colorful Superheroes award is perfect for recognizing student accomplishments, good behavior, graduations, promotions and more! 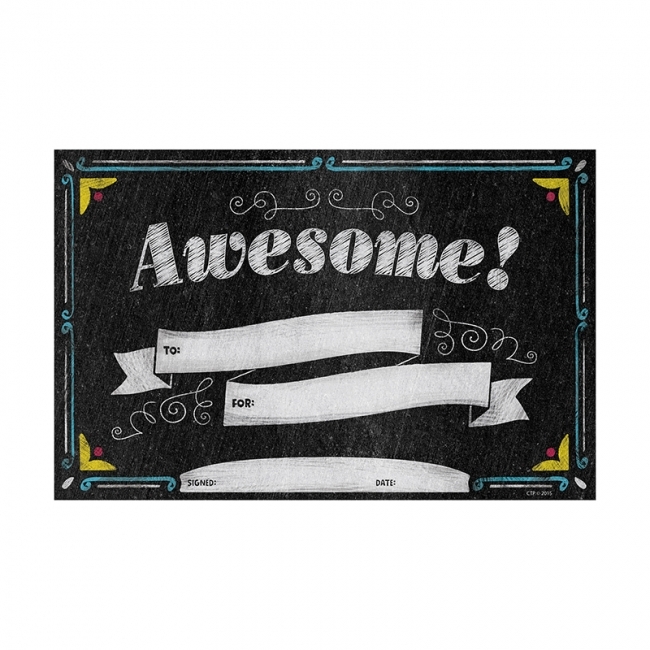 Awards are easy to customize for each student and special occasion. 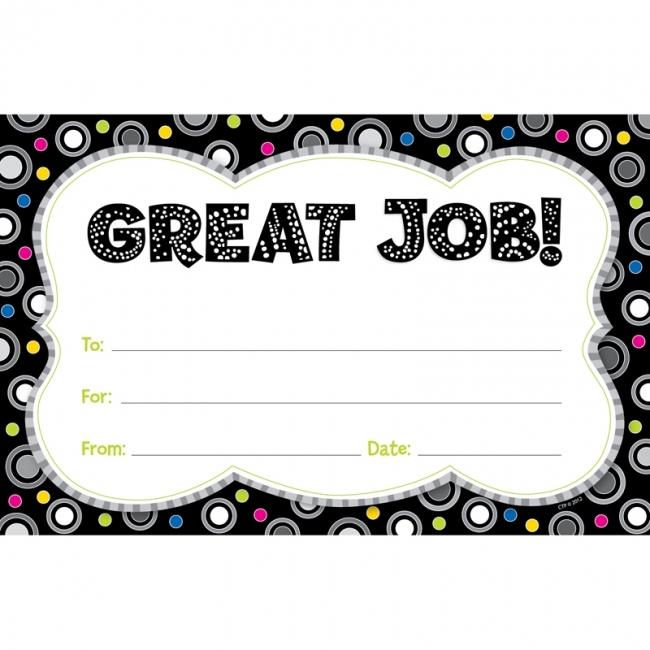 Awards are printed on sturdy paper stock so they can be enjoyed for years to come. The festive balloons, playful letters and colorful confetti on this award will brighten any student's birthday! 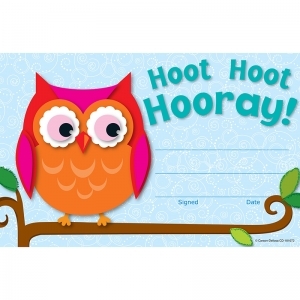 Plus, awards are printed on card stock so students and their parents can enjoy it for years to come. 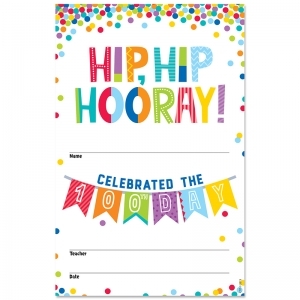 Celebrate the 100th Day of School with this colorful award. 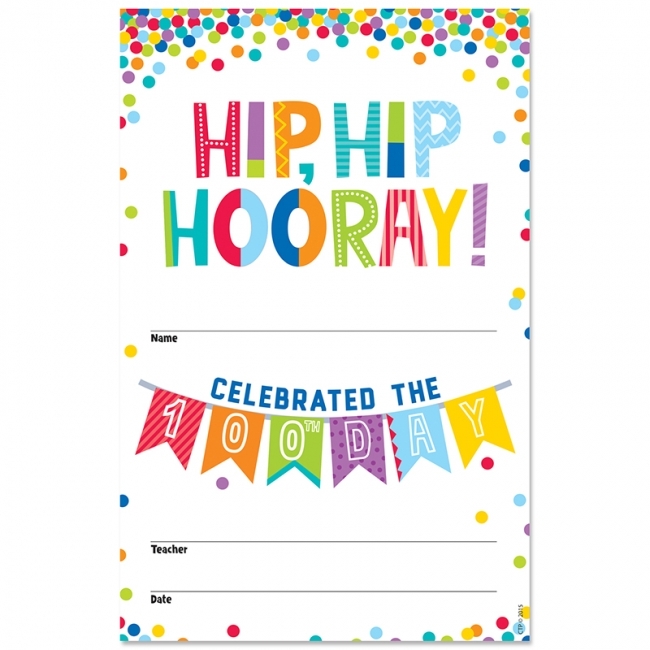 Personalize with each student's name to celebrate that he or she "Celebrated the 100th Day!" 30 colorful awards per package. Awards are printed on thick card stock so students and their parents can enjoy it for years to come. Let them know how proud of them you are with this extra special award. 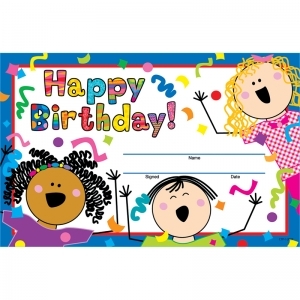 It's easy to personalize and will become a memento that students and their parents will treasure. Let them know how proud of them you are with this colorful award. 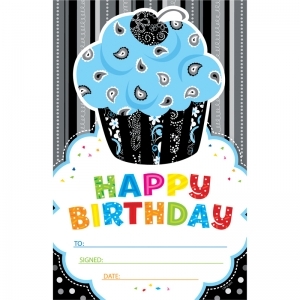 It's easy to personalize and will become a memento that students and their parents will treasure. 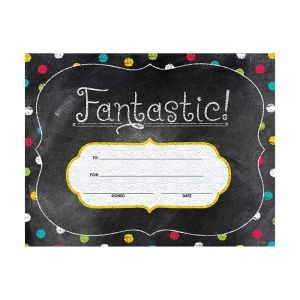 These awards are easy to personalize and will become a memento that students and their parents will treasure. 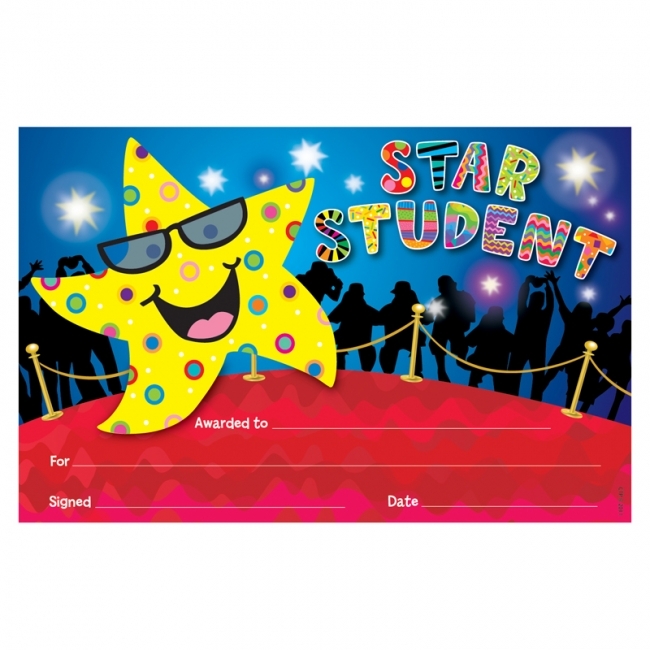 These awards are easy to personalize and will become a memento that students and their parents will treasure. 30 colorful awards per package. 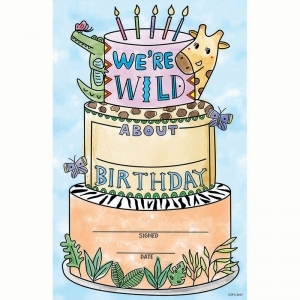 5½" x 8½"
Make birthday celebrations extra special with this stylish award! 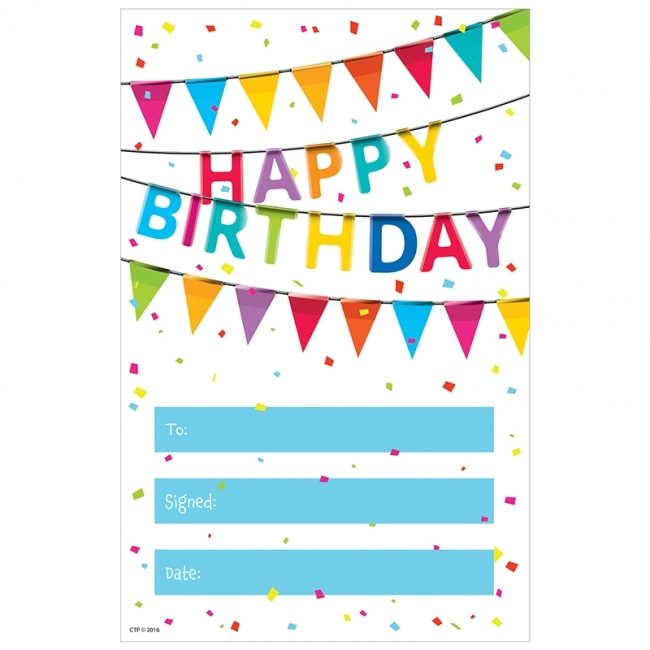 It's easy to personalize and will become a memento that students and their parents will treasure. 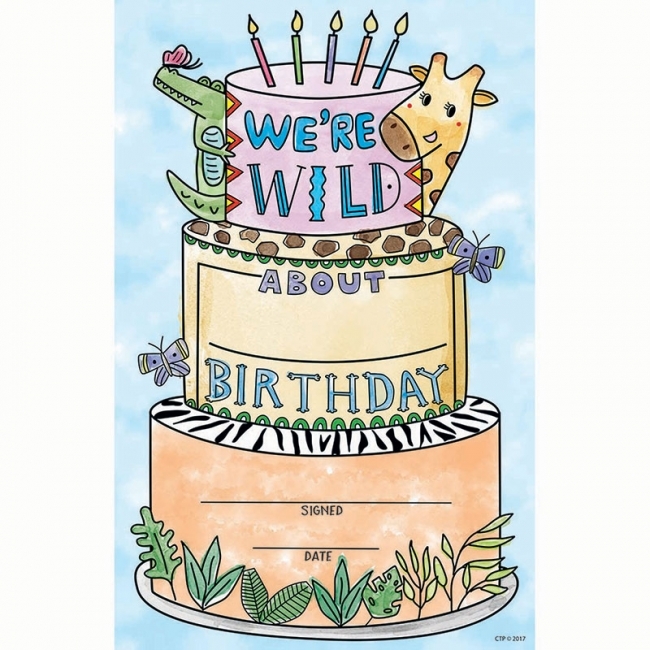 30 awards per package 5½" x 8½"
This Safari Friends Happy Birthday Award features a birthday cake, charming safari animals and a happy birthday message that students will love. 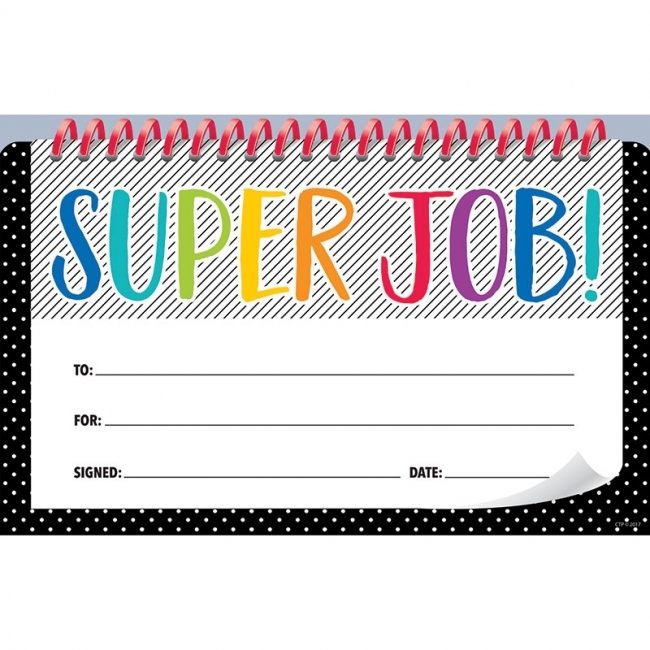 This Bold & Bright Award features a rainbow of colors and an inspiring message that students will love. This Emoji Fun Well Done! 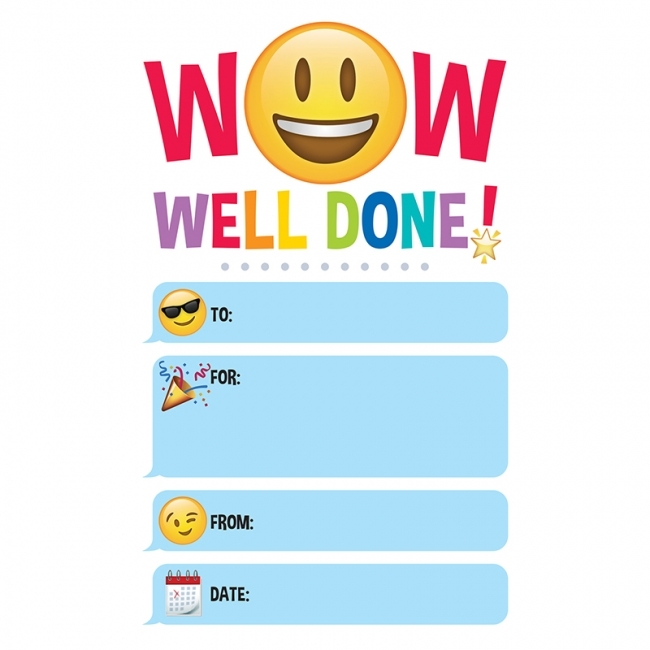 Award features charming emojis and bright messages that students will love. This colorful Emoji student award is the perfect certificate for kids in a wide range of age or grade levels. Use this reward certificate for recognizing outstanding behavior, super effort, or positive attitude. 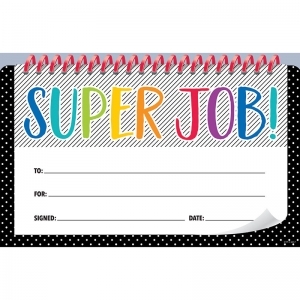 Bonus: Awards are printed on sturdy paper stock so they can be enjoyed for years to come. 30 colorful awards per package. 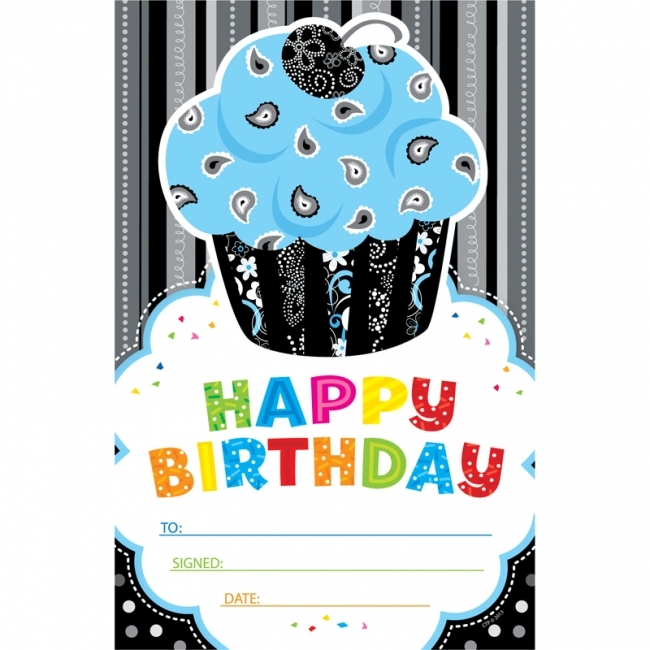 5 1/2" x 8 1/2"
Say Happy Birthday in Upcycle Style with these bright and festive awards. 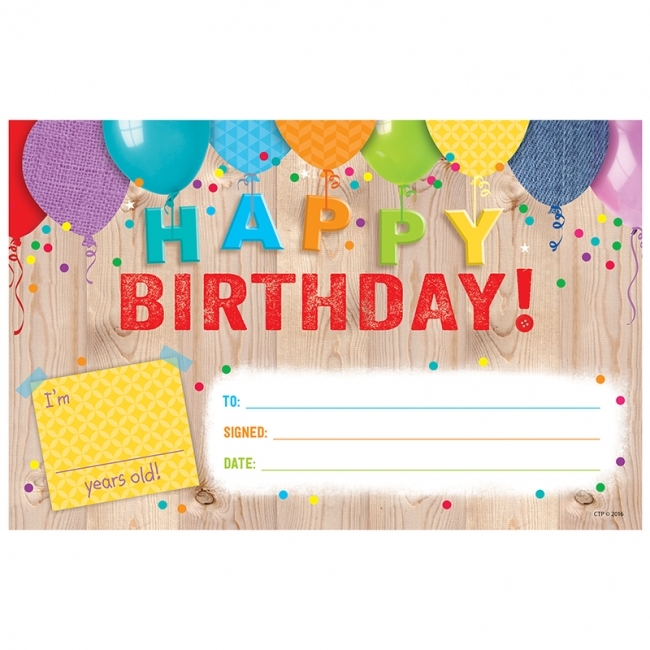 Colorful balloons and rustic wood look give this award a charming birthday style. Make the birthday boy or girl feel extra special with this fun, whimsical crown! 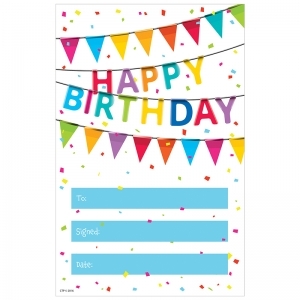 Or use these festive crowns instead of traditional birthday party hats and let the whole group get in on the birthday celebration! 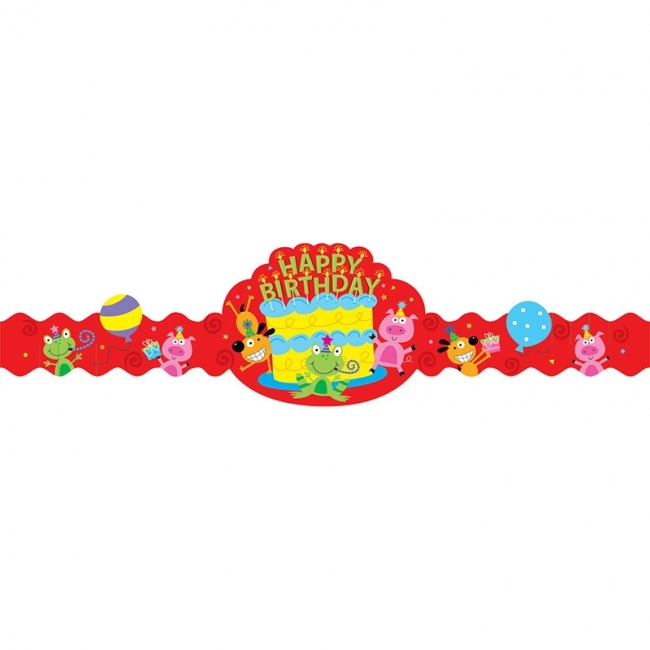 Adjust-to-fit crowns measure 6.5" x 24". Each pack includes 30 crowns.